Home » Pregnancy » Am I Pregnant? » Faint Pregnancy Test Line is Very Light – Am I Pregnant or Not? So you’ve taken a home pregnancy test (HPT). And you’re not sure if it’s the light or your eyes or some kind of a positive pregnancy test ghost but…you can see a line. A very light, very faint line on your pregnancy test can instantly throw you into a whirlwind of confusion. Faint lines are very common and there are a number of reasons why you might get one. It’s worth pointing out that your intense emotional response is very normal too! You take a pregnancy test because you want to know for sure whether or not you’re pregnant. So when the test doesn’t give you a clear answer one way or the other, it’s natural to feel frustrated, tearful and even angry. Is a faint line a false positive or a true positive? A faint line on a home pregnancy test may or may not mean that you’re pregnant. False positives are rare unless the test is faulty, but that doesn’t mean that a light line always means you are pregnant. It could be an evaporation line or a sign that you’ve had a chemical pregnancy. Is it an evaporation line? Evaporation lines are very common on home pregnancy tests and are known for creating confusion about whether or not you are pregnant. But understanding what an evaporation line is and how to tell the difference between a positive test and a test with an evaporation line can prevent that confusion. An evaporation line appears in the results window of a pregnancy test but, unlike a positive line, it is colorless, very faint, and does not mean that you’re pregnant. Pregnancy test instructions include a reaction time, which is the timeframe in which you should read the result. Evaporation lines happen when urine dries on the test, so the best way to avoid one is to throw the test away as soon as the reaction time is over. For example, if the test says to read after 2 minutes, do that. Check the test after 2 minutes and then discard it. If you come back to it later on an evaporation line may have appeared. As well as evaporation lines (which do not mean that you’re pregnant), testing too early is another common cause of light lines on home pregnancy tests. 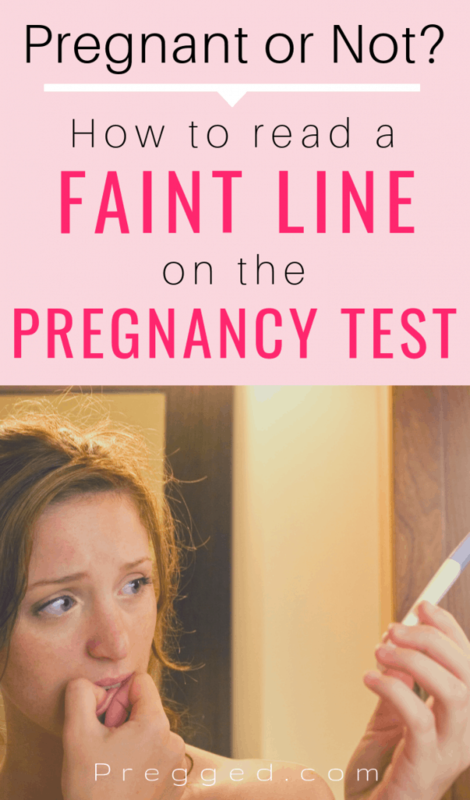 A faint line when you’ve tested early could mean you are pregnant. 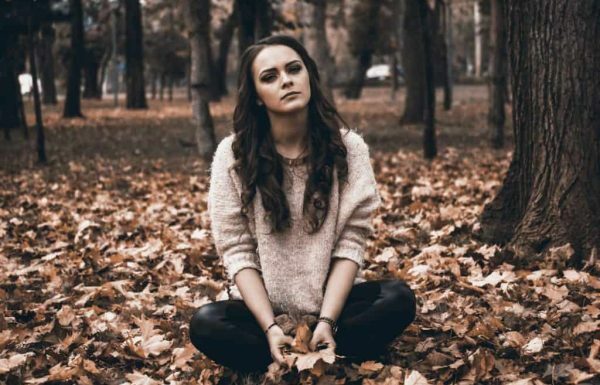 Testing up to 7 days after the first day of your missed period is generally considered early. Pregnancy tests detect the pregnancy hormone hCG, which increases rapidly each day during the first 13 weeks of pregnancy. But if you test too early you may have very low levels of hCG which could result in a very light line on your test. Wait 2-3 days and then test again. If you are pregnant, your body’s hCG levels will rise and the line will be darker on your next test. Early testing can sometimes result in a negative result even if you’re pregnant, which is another reason to avoid it! Faint lines can also be an indication of a chemical pregnancy. This happens when you did conceive but then had an early miscarriage. Raised levels of hCG could last for up to two weeks after a miscarriage, causing a positive HPT. Again, wait a few days and then take another test, or see your doctor for a blood test if you’re concerned. hCG is short for Human Chorionic Gonadotropin. The placenta starts to produce this hormone as soon as an embryo implants in the uterus. If a home pregnancy test detects hCG in your urine it will show a positive test result. But as we’ve mentioned, testing too early could mean that your hCG levels are too low for a pregnancy test to detect. As you can see from these numbers, hCG levels double every 2-3 days in the first trimester. Every pregnant woman is different; but in general, waiting 3 days after a faint line before you test again should result in a darker line on your test if you are pregnant. We know. If you think you might be pregnant it’s really hard not to take a test right away. And if you get a faint line, it’s even harder not to take another test, and then another one, and another one. But the best way to avoid getting a light line on your pregnancy test is to test when your hormone levels have reached an easily detectable level. Ideally 7 days after the first day of your missed period. When you do take that test make sure you read the results within the reaction time listed on the packet and then discard it immediately if you don’t see a line. This will avoid confusion later on if an evaporation line appears. If you’ve had a faint line, try to wait at least 3 days before testing again. And breathe. You will get a definitive answer soon.